So, for all those people interested in learning a little bit more about the history of Japan, I’m going to start a series of pieces looking at various elements of Japan’s history and its personalities. If there are any particular bits of history you’d like to learn about, please do drop me a note. 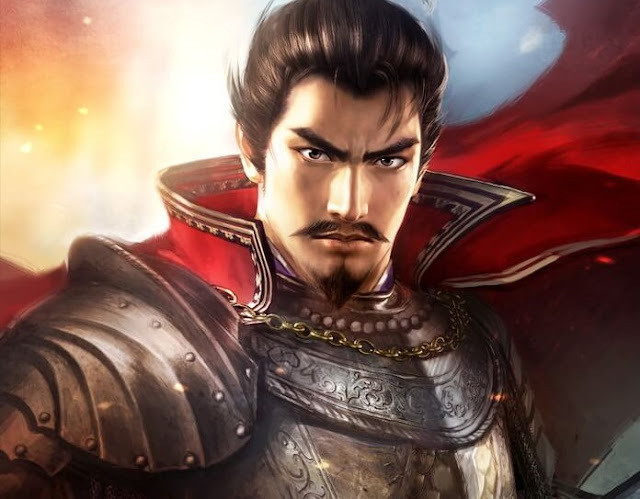 Otherwise, for the first piece, I figured we might as well start with arguably the three biggest and most important personalities in Japan; the three “great unifiers,” Nobunaga Oda, Hideyoshi Toyotomi, and Ieyasu Tokugawa. The Sengoku Period was one of the most bloody and violent periods in Japanese history. It started in 1467 and lasted well over a century until 1603, and it was a period where Japan was anything but unified. It technically had an Emperor, but the monarchy was weak throughout the entire era. Instead, various warlords in control over small slices of the country fought in nearly endless wars with one another to control the land and, ultimately, the Emperor. In a very vague sense this period of Japanese history is similar in tone to the Warring States period in China (not to be confused with the Three Kingdoms era), so they share a historical name, though they’re not in any way directly related to one another. So let’s dig into what the comments made by each of these men in the story means, shall we? Despotic and truly nasty, Nobunaga Oda was nonetheless responsible for setting Japan’s chessboard in motion in such a way that it resulted in a unified and generally peaceful nation. Oda was born in 1534, to a noble house that few at the time had much regard for. He was, from an early stage, considered something of a firebrand and someone with a limited grip on sanity. 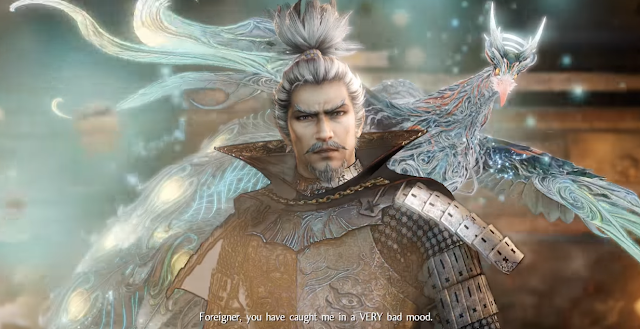 After behaving improperly at a funeral, which led to a childhood mentor committing suicide (a real moment straight out of Hamlet, that), Nobunaga was on the outer of his family, to the point that many of the family leaders and military retainers were prepared to overlook his rightful place as the new head of the family after his father passed, in preference to his younger, more sane brother. So Oda then ruthlessly carved his way through his family to eventually take control of the domain and steady the borders with his nearby neighbours. His first test as leader, and the point where he rose to prominence in the great game of thrones that was Japan at the time, was when Imagawa Yoshimoto decided to march on Kyoto and put in his own bid to rule the country. Yoshimoto had an army of 40,000, and it needed to take over Oda’s province along the way to secure a path back to the Imagawa stronghold. 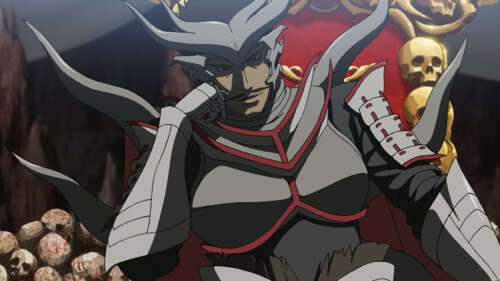 Nobunaga, his opponent, had 3,000 people, if that. Against the advice of his retainers to remain safely inside a castle and prepare for a siege, Nobunaga decided to strike for a decisive victory. He got lucky when Yoshimoto proved to be an inept commander, and was able to use superior tactics - and also take advantage of a thunderstorm to conceal his force’s movements - to gain a surprise attack on the Imagawa forces, killing Yoshimoto before a real battle could overwhelm him. Oda’s star rose rapidly from there. Despite his temper and ruthlessness, he was a keen businessman and exceptional strategist. When pulled into a confrontation with the supremely powerful Takeda Shingen, at the battle of Nagashino, Oda was again able to prove his tactical mastery when he organised rifle units - weapons new to Japan that he had acquired from Portuguese traders in far greater numbers than any other warlord - in formations that cut the Takeda cavalry to shreds. Eventually Oda had control of Kyoto, central Japan, and, effectively, all the political power in the country. His problem was that there were still fringe forces that would not capitulate, and he just couldn’t have that. Oda sent his most valued general, Hideyoshi Toyotomi (more on him in the next article) to deal with the Mori clan in western Japan. Oda also wished to invade the island of Shikoku, where the various clans were proving to be troublesome. He believed he was in a good place with regards to the east of Japan, as his only other major rival left over that way was Kenshin Uesugi who had recently passed away, and Ieyasu Tokugawa was keeping a watchful eye out over the rest of the east. And so Oda set himself up at the temple of Honno-ji, guarded by only a tiny handful of soldiers. And that’s when Mitsuhide Akechi decided to rebel. He was one of Oda’s most valued retainers and history has been very cruel to his memory (traitors and all that), but many historians believe that Akechi was experiencing some kind of post-traumatic stress disorder. Akechi was a loyal commander, but certainly saw Oda at his worst. For example, Nobunaga’s sister - the well-liked Oichi - was married to Nagamasa Azai, who rebelled at one point and was ruthlessly dismantled by Nobunaga Oda. Later on, Nobunaga was concerned that a monastery of warrior monks (sohei) had assisted Azai in his rebellion and was dangerously close to Oda’s major stronghold. So he razed it, killing everyone inside, including women and children. And if that was Akechi’s reason for rebellion, then fair enough. Others are less kind, with some arguing that Akechi was concerned that Oda would transfer Akechi’s fief to his boyfriend page, Mori Ranmaru. Others believe it was simply because Oda constantly insulted Akechi (despite holding him as one of his most important generals). Whatever the reason, Akechi did indeed rebel, and quickly overcame the handful of soldiers protecting Oda. Rather than allow himself to be captured or killed in battle, Oda committed seppuku (ritual suicide). Oda’s ruthlessness was the reason for the saying “little bird, if you don’t sing I will kill you.” If you stopped being useful to Oda, he would discard you. If you crossed him, he’d kill you. His idea of leadership was genuine tyranny, but it’s worth noting that he was also good for the health and wellbeing of Japan, and those that weren’t fighting against him. Under his de facto rule, Japan significantly expanded its international trade, and Oda was also quite progressive in that he was a strong patron for the arts and religious diversity in the country. Under his rule, Jesuit missionaries were most welcome in Japan, and Oda supported the building of the first Christian church in Kyoto (1576). He himself appears to have had no religious leanings of his own and never converted to Christianity. He also completely modernised the way war was fought in Japan, introducing new weapons and more complex battlefield tactics. 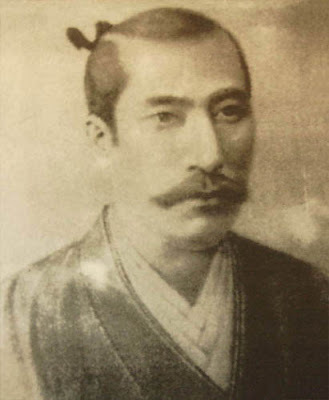 It’s no surprise that his preferred underlings - Hideyoshi and Ieyasu - would go on to become the nation’s leaders after his death; there was simply no way that the other warlords in Japan would be able to counter the rapid tactical advantage that Oda had developed so quickly. In video games, Oda is generally portrayed as demonic, or at the very least, a very dark fellow. The Samurai Warriors series, which is perhaps the most generous towards his memory, rationalises Oda’s actions as a simple ambition to unify the country, and after 150-odd years of constant political tension and war, that is something that Japan needed. 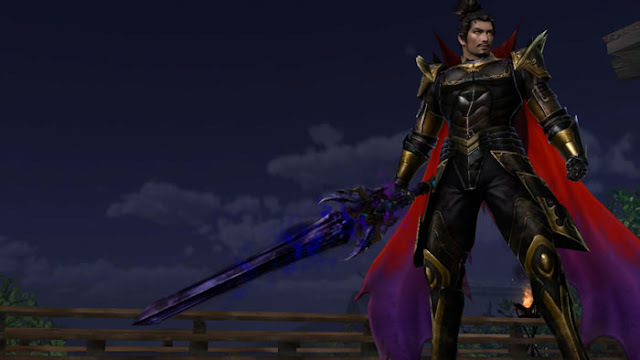 But even in Samurai Warriors it’s not surprising that Oda looks a little like a Sith Lord from Star Wars and has a sword that crackles with energy and sounds like a lightsaber in action. Stay tuned! Tomorrow we’ll take a look at the second of the three great unifiers: Hideyoshi Toyotomi.